Deep apple green natural jadeite cabochon (A-type.) With even color and majestic transparency! Approximately dimensions are as follows: Oval shape 12.5mm length x 8.5mm width x 2.2mm deep and weight is 2.11ct. 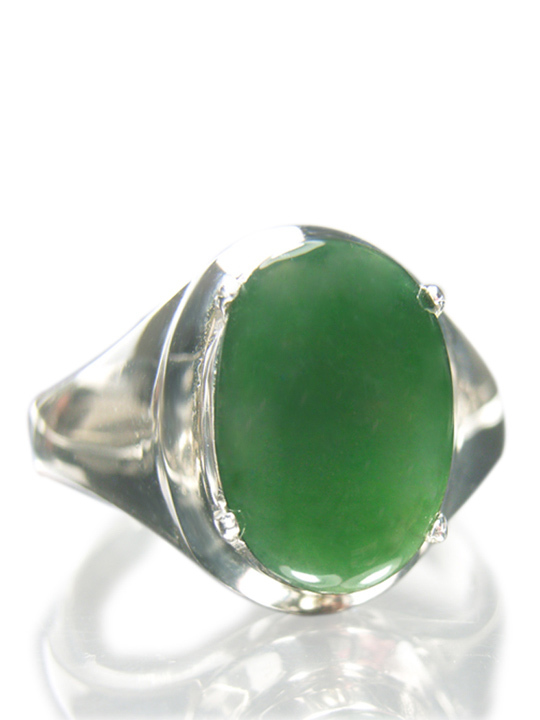 Set in a ring as all good jade should be this allows you to see the jade with a backing. Ring size 9&1/4 US or 20.5mm diameter or 60.5 in circumference.